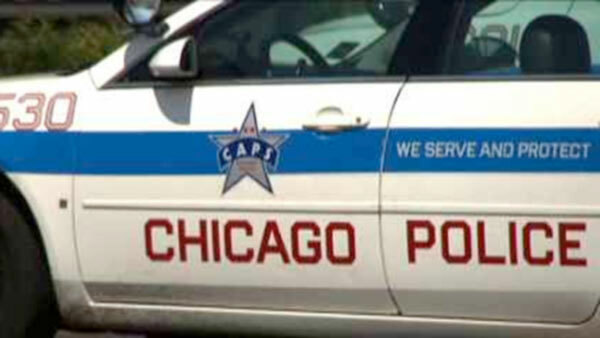 CHICAGO (WLS) -- A man is in custody after he pointed a gun at basketball players in a gym in Chicago's South Deering neighborhood, police said. An off-duty Chicago police officer was playing basketball in the Trumbull Park gym in the 2400-block of East 105th Street when he saw two players get into a physical altercation. Police said one of the men, a 28-year-old, took out a handgun and started pointing it at people in the gym before running away on foot. The off-duty police officer chased the offender outside and fired one shot at him, but did not strike him. The offender dropped his weapon and continued to run away, eventually entering a stranger's house in the 10300-block of South Crandon Avenue. Officers responded to that scene, took the offender into custody, and recovered his weapon. He was transported to Trinity Hospital in good condition for shortness of breath.